Solomon Andrews, a successful businessman in Cardiff, embarked on an extensive development in Pwllheli in 1893, which later included the purchase of Plas Glyn-y-Weddw mansion, and the establishment of a horse tramway to Llanbedrog. His son Francis Emile (known later as FE to his friends and associates), joined his father in the successful family business and developed a passionate interest in collecting antiques, especially Swansea and Nantgarw Porcelain. 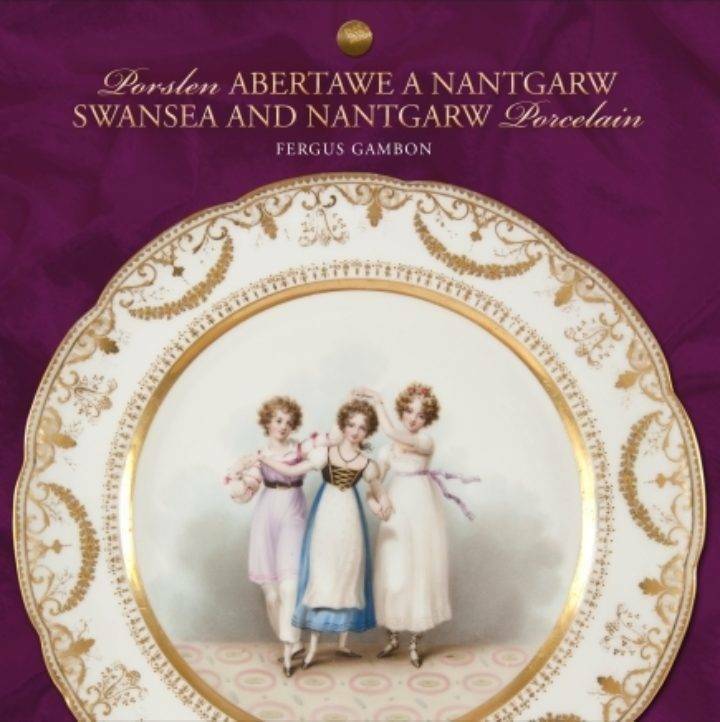 FE became known nationally as a connoisseur and collector of antiques, and for having one of the largest collections of Swansea and Nantgarw Porcelain in Britain. Emile’s grandson, John Andrews, carried on this family interest and it is thanks to his keen eye and extreme generosity that this wonderful collection can be seen today at Plas Glyn-y-Weddw. Although pottery has been made in Wales over the centuries, porcelain was made there for only a few years in the early nineteenth century. Despite this short period of production, the porcelains of the factories at Swansea and Nantgarw more than equal the quality and beauty of their rivals in England. Finely potted and extremely tactile, the various Welsh porcelain bodies produced exhibit a most attractive translucency. 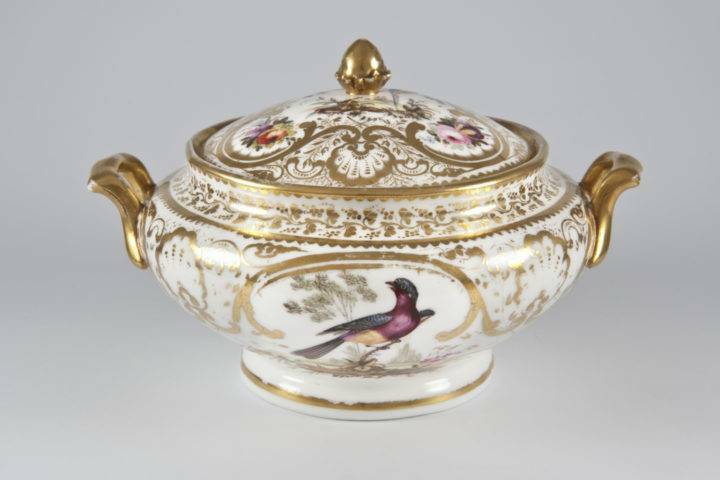 Many pieces, especially Nantgarw, were left in the white and sent to London to be expensively decorated in the latest fashionable styles, often influenced by Sèvres. The quality of this work is quite breathtaking. Some, mostly Swansea, remained in Wales and was painted by the local factory artists. It was these artists who developed a uniquely Welsh style of floral ceramic painting. The style was fresh and new, not influenced by the Asian or Continental prototypes that had provided the inspiration for so many English potters. Soft and naturalistic, the flowers were painted in bright colours but were subtly shaded. The loose arrangements show a delightful, often suggesting that flowers have simply been scattered across the surface of the plate. Today, examples are scarce and the collection at Plas Glyn-y-Weddw provides a rare opportunity to see a wide range of shapes and forms with ornaments painted locally and in London. Examples from many of the most illustrious services are included, as well as the famous ‘Three Graces’ plate. The narrative of Welsh porcelain is certainly a most confusing one but the key figure is William Billingsley. Billingsley was born in Derby in 1758 and was apprenticed at the Derby factory in 1774 where he remained in apparently stable employment for twenty-one years. He had a prodigious talent both as a painter and a ceramic technician and rose to become the most valued artist at the factory. Presumably it was ambition that drove him to leave in 1795 and set up factories at Pinxton in 1796, Mansfield in 1799 and Brampton-in-Torksey in 1803. Lack of success in each venture caused him to flee to the next and he spent a further period from 1808-1813 at the Worcester factory before travelling to Wales.